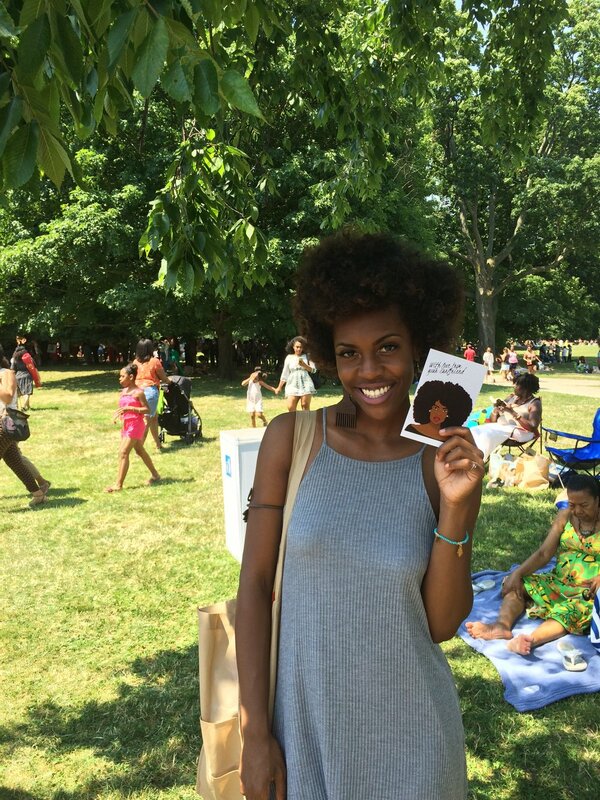 I had the pleasure of attending the natural hair celebration Curl Fest 2016 in Prospect Park and it was amazing ! 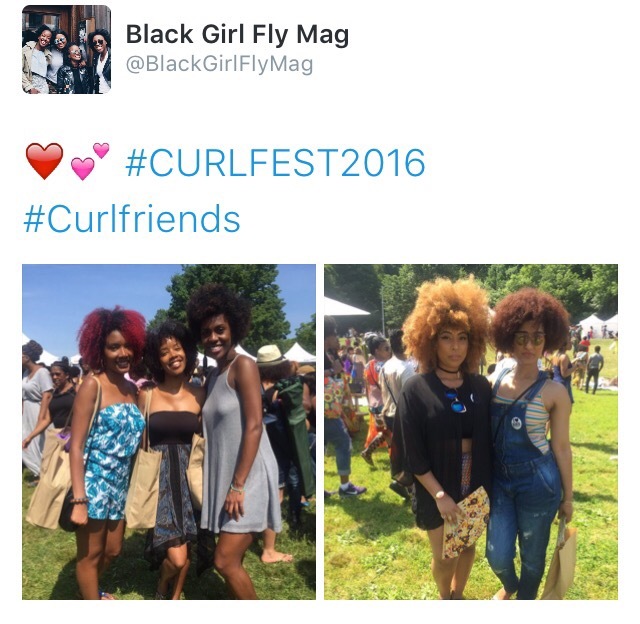 The Curl World is truly a world of it's own. Following crowd of fro down the trail to it's tents had me in awe at the diversity of the sizes, shapes and colors of the afros and curl patterns. Let me tell you, that line looked like the Jordan release line on a Saturday. It was as long as 3 Prospect Park blocks. 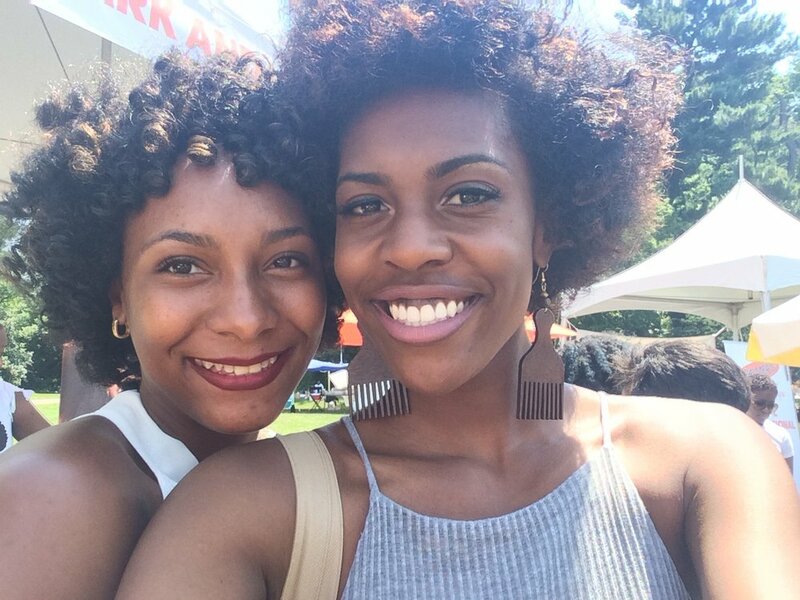 LUCKILY I saw a couple friends from college not too far from the tents and I joined the line with them. There was plenty of space where we were able to lay out our blankets among many of the other attendees. 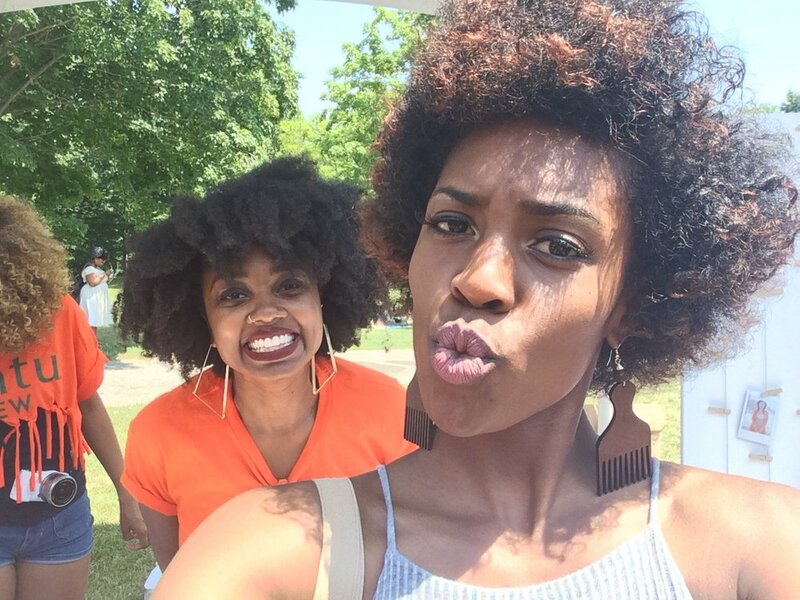 Curl Fest 2016 was natural hair and bloggers heaven. 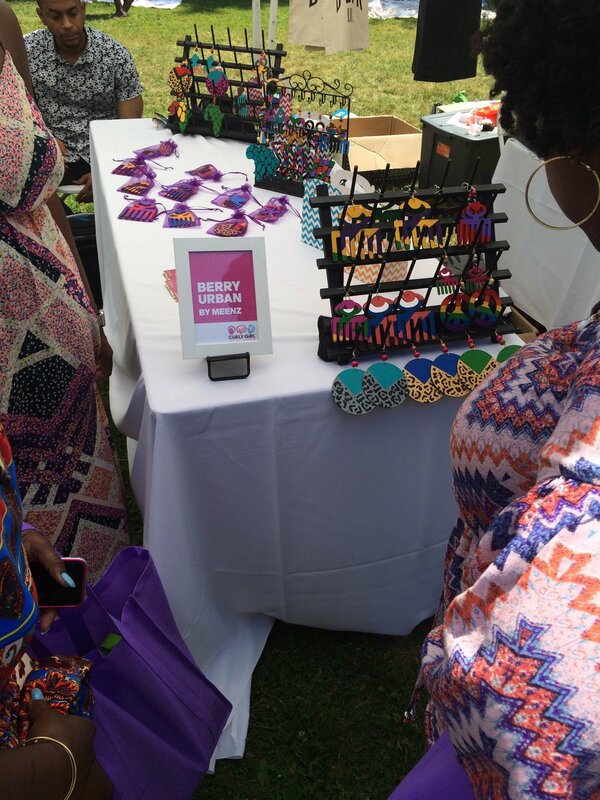 Upon arrival to the tents we showed them our tickets and we were given goodie bags with everything from hair masks, to body scrubs to de-tangling combs. 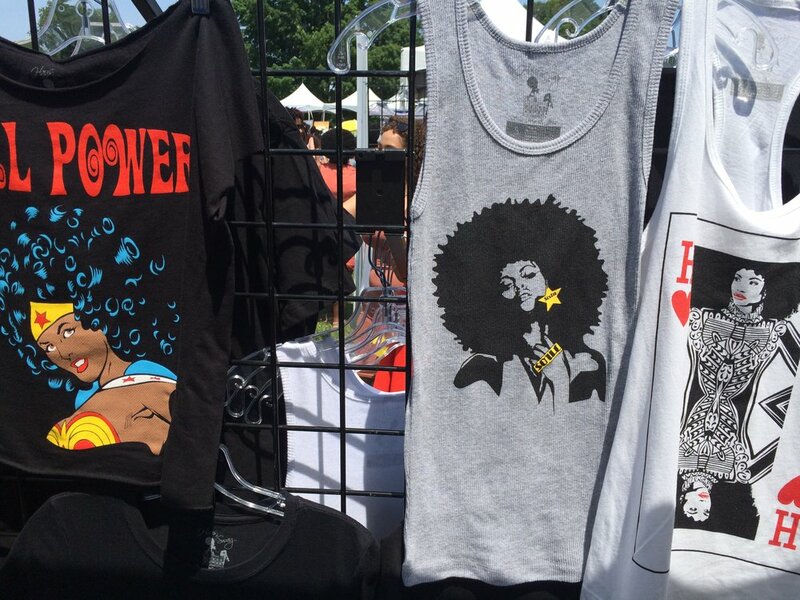 There were so many vendors I didn't know where to start. 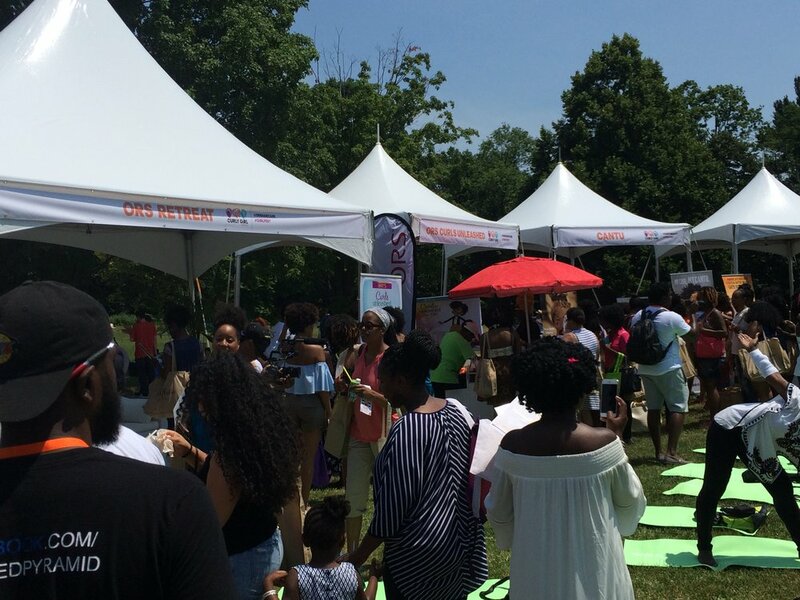 Some of the vendors included Ouidad, Dark and Lovely, Mane Attraction, Cantu, ORS Monoioil, Palmer, and Shea Moisture just to name a few. 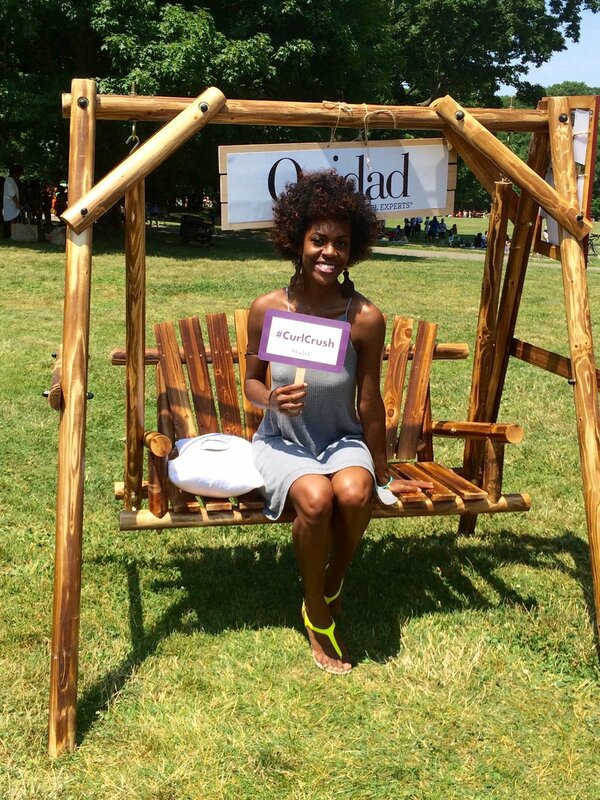 There were many back drops to take photos, including the swing portrait for Ouidad. 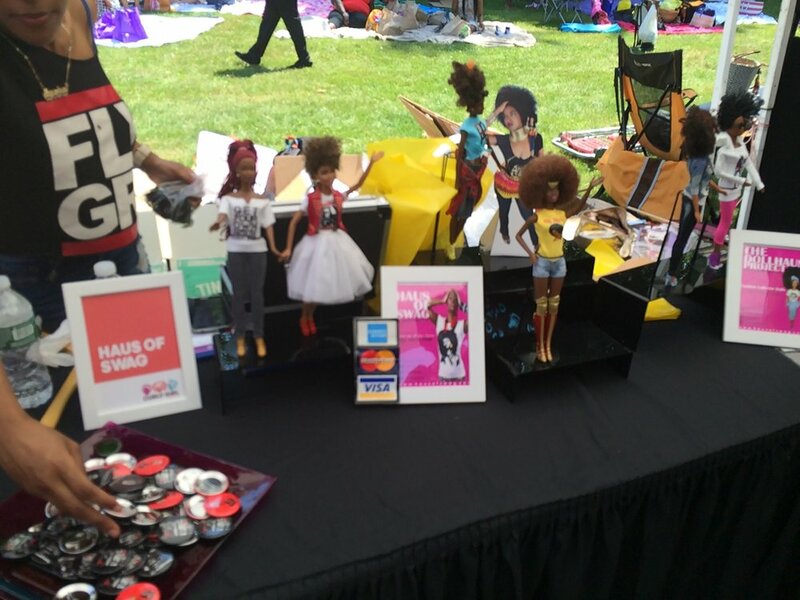 In order to get some of the free samples many of the vendors capitalized on social media and asked those standing in line for the products to take a picture with the product and use a hashtag to obtain the sample which gives the attendees a little bit of shine and is promotion for the product. This was perfect because everyone knows I love selfies. 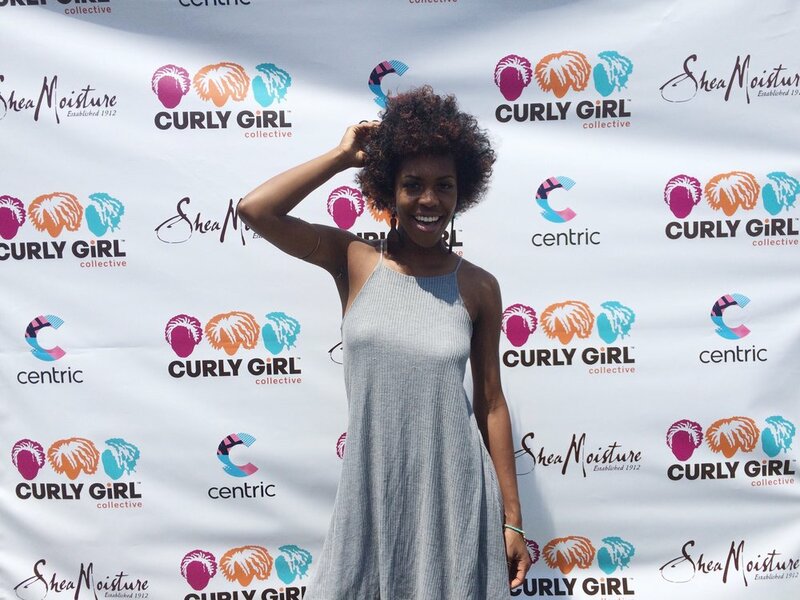 #CurlFest2016 was literally a meet and greet of hair crushes featuring free products to sample and a couple of black owned businesses with garments and earrings. 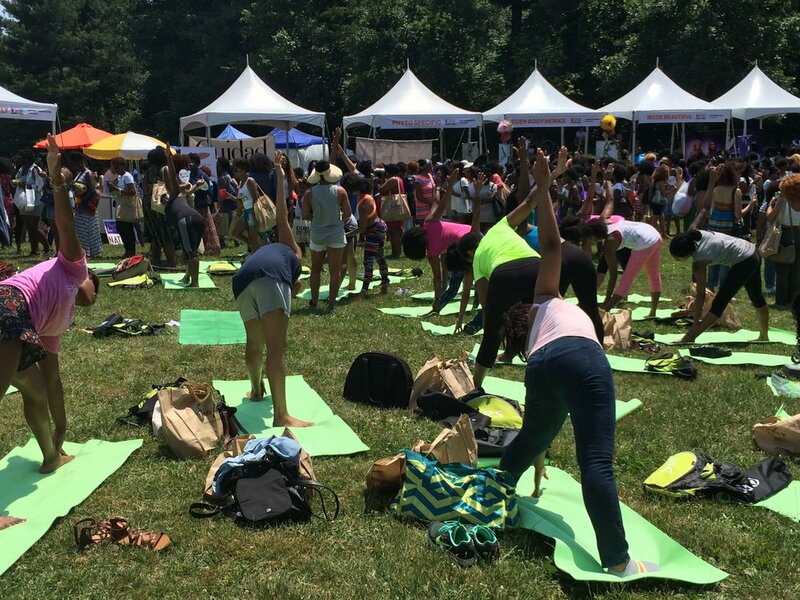 Besides the products and curls there was games, yoga and music. The selection was perfect, a nice blend of upbeat classics and a couple of the hip new songs that transitioned into a selection of African music and the soca. 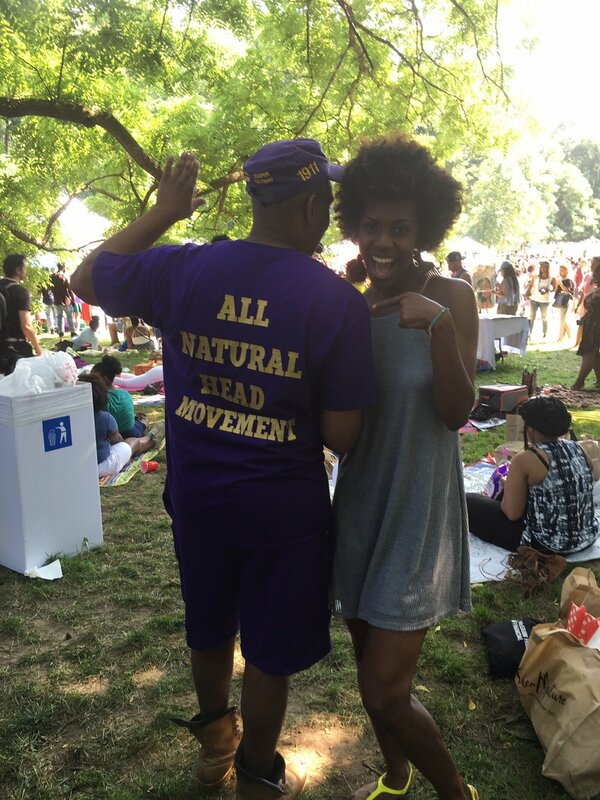 In attendance was Benny Harlem, the guy with the unbelievable high-top known for the heavenly picture of him and his daughter with their breathtaking afros. He was calmly seated under the ORS MonoiOil tent on the couch when I approached him for a photo. 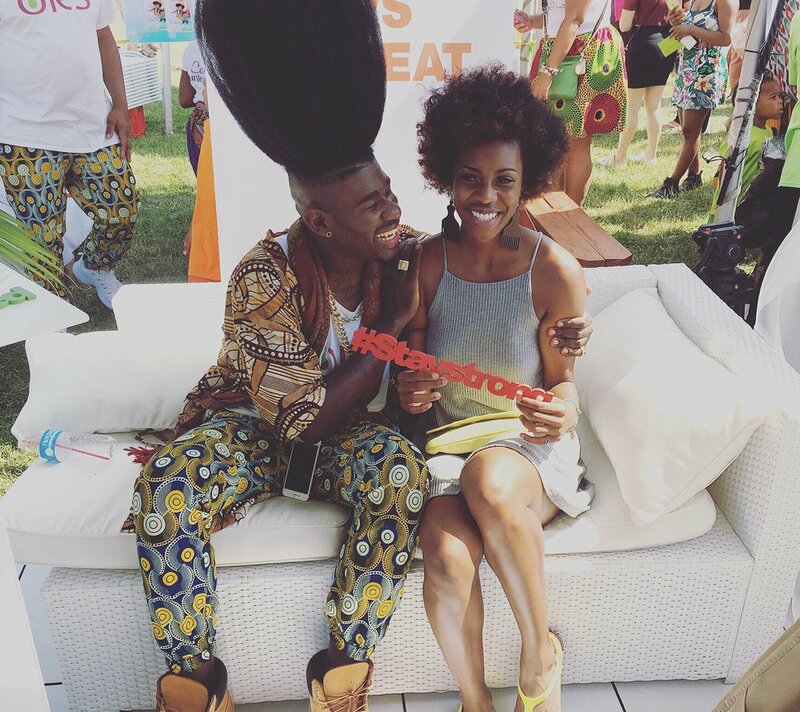 Benny Harlem is a very down-to-earth guy with a great sense of humor and it's amazing how his hair defies gravity. 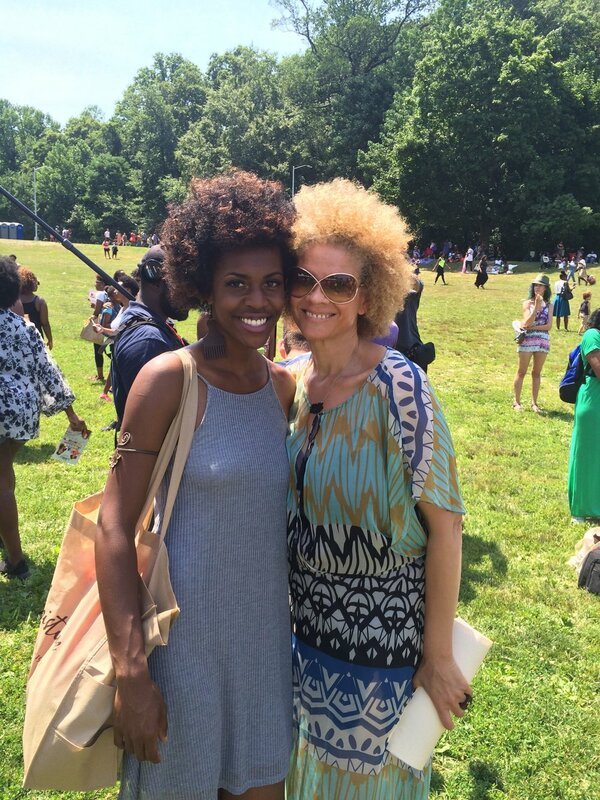 I also had the opportunity to meet and take a photo with image activist, stylist and writer Michaela Davis, and I later posed for the cameras of BET Centric to show off my 'fro. 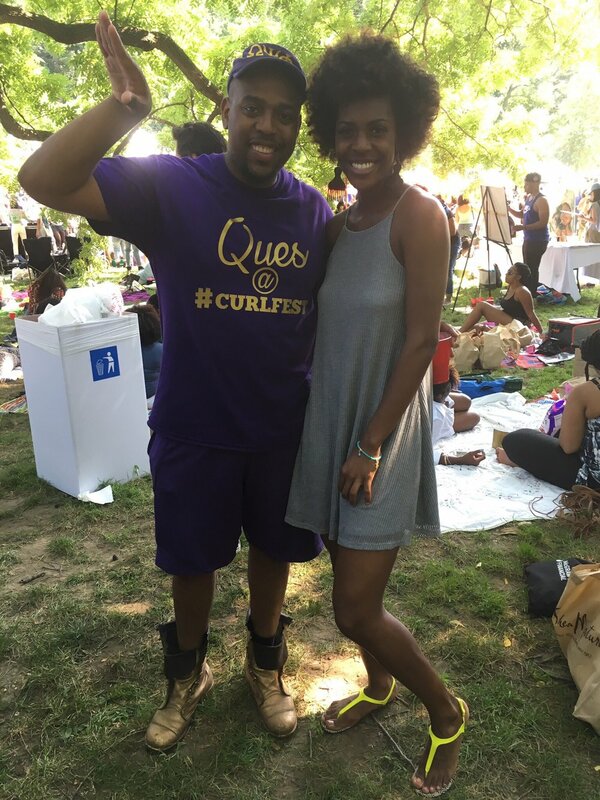 Some of the performances I saw before the Soul Train dance off included lovely drumming and strolling by the brothers of Omega Psi Phi Fraternity Incorporated who also had a table set up at the event. It started at 1 and I stayed until about 5 because the sun started to take it's toll. 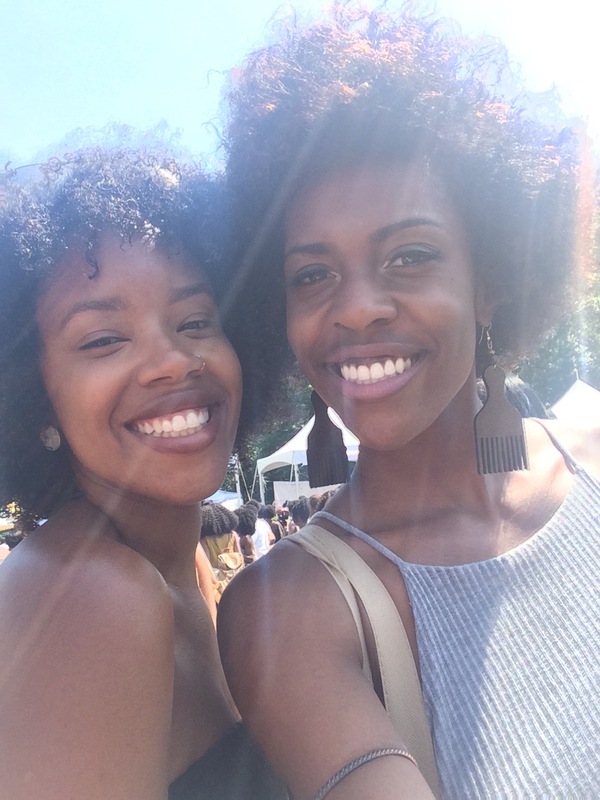 I definitely got a tan being out in the sun, but this was one of the best events I've attended thus far. I even ran into a couple of friends. 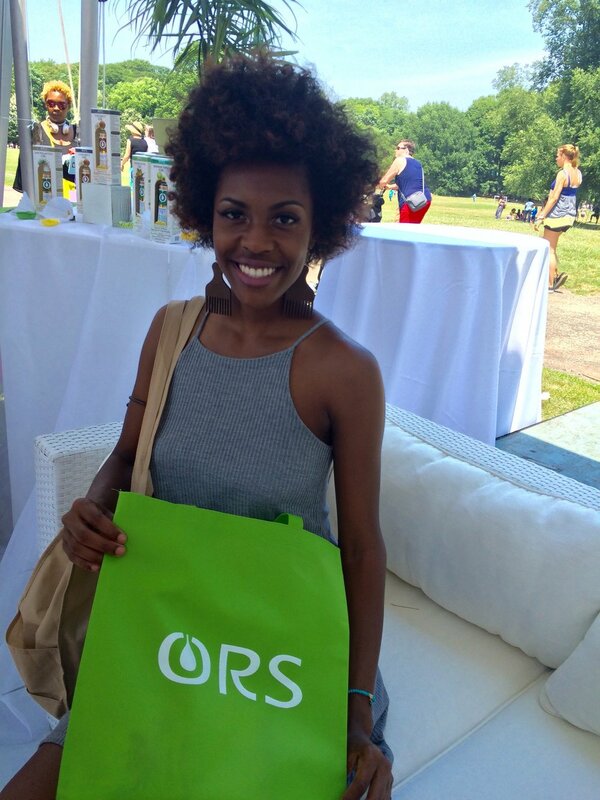 Everyone attendees, volunteers and vendors alike were super friendly and welcoming and being a naturalista I left convinced not to cut my hair again and excited to try the new products and styles that I saw at the festival.